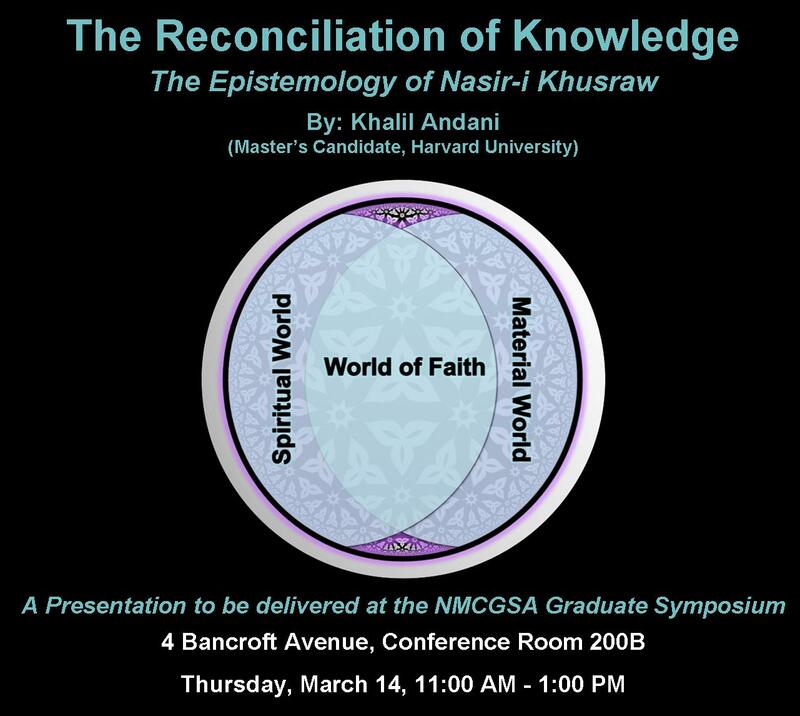 On Thursday, March 14, Khalil Andani (Master’s Candidate, Harvard University) delivered a presentation on the concept of Knowledge (‘ilm) according to Sayyidnā Nāṣir-i Khusraw. This presentation took place during the 17th annual NMCGSA Graduate Symposium held at the University of Toronto. Khalil Andani is a young professional from Toronto and currently a Master of Theological Studies (MTS) candidate at Harvard University. 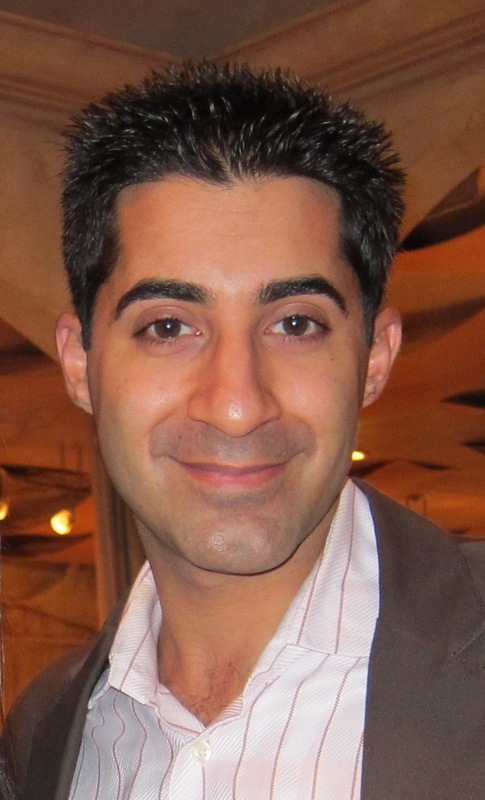 He is a Chartered Accountant (CA/CPA) and holds Bachelor of Math (BMath) and Master of Accounting (MAcc) degrees from the University of Waterloo. Khalil is also a contemporary Isma‘ili Muslim thinker whose areas of focus include theology, philosophy, metaphysics, hermeneutics (ta’wil), and the perennial philosophy (sophia perennis). He writes and delivers presentations on Isma‘ili philosophy and praxis to help revitalize the Shi‘i Muslim intellectual tradition. He can be contacted at khalil_andani@mail.harvard.edu. Khalil Andani’s profound knowledge on the subject is outstanding and all my friends are urged to view his lectures via the video he sends.